Joining a sorority is one of the best decisions I have ever made. It's more than a combination of letters or a full social calendar. It is a friendly face on your walk to class, a good luck text before your big exam, and endless love and support. I can't imagine my life without these girls. Are you planning a cool event on campus? There will always be a group of sisters willing to come and support what you are doing. Did you have a bad day? Someone will always be there to cheer you up and drink milkshakes and eat candy with you. 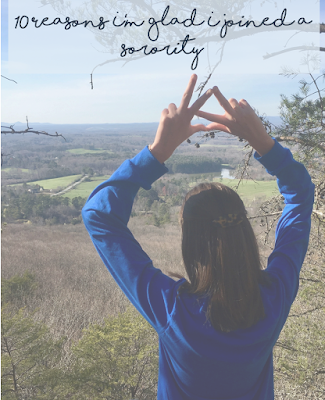 Study hours, academic mentors, rewards for success: your sisters want you to succeed. Struggling in a class? It's likely someone has taken the same one and would be more than willing to help you. But I think the best thing is having people to recommend which classes and which professors you should take, this is a lifesaver come class registration. I love that since joining my sorority I never feel bored. I always have different things to go to: sisterhood events, mixers, and dinners/lunches. Not only are there all the fun planned events, but more than that someone always wants to do something. Never have I ever felt more encouraged to take leadership positions or had more opportunities for them. We are constantly encouraged to get involved with the chapter. I love this because I find the more I get involved the more I fall in love with the chapter and my sisters. I've realized that I'm not going to be great friends with everyone in my chapter but I think everyone is able to find their group within the chapter. I know that the friends I have made will be friends forever because we share similar values. Girls in my sorority are involved with almost every organization on campus, someone is always willing to give you an introduction or help you get your foot in the door. But more than that is the connections with people all over the country in your sorority. I've found myself connecting with different people simply because we share the same greek letters. Another great part of sorority life is having a "family". 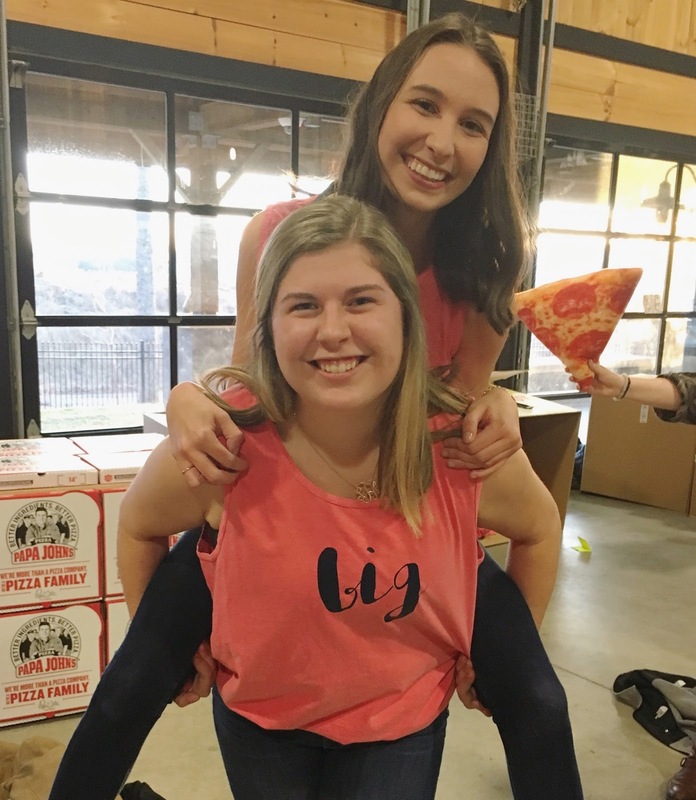 Your big is the person that will teach you how to be a sorority girl. She'll help you meet people, she'll invite you to events, she'll remind you of things, and she'll help you when you mess up. She's the one you can count on no matter what. 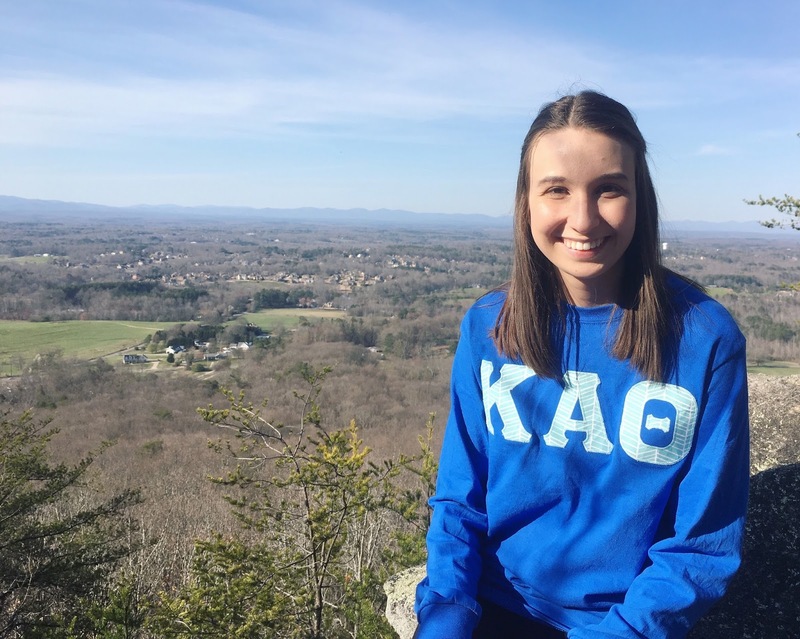 Greek organizations are an important part of the campus community. They participate in every single major campus event. So you always have a team to join for any event and a great group of people to attend with. It's an easy, effortless way that helps you to get involved and connect with your school. ^Highly recommend Greek U for super cute shirts like this one!! Out of any organization, I would have to say that sororities have the cutest shirts. 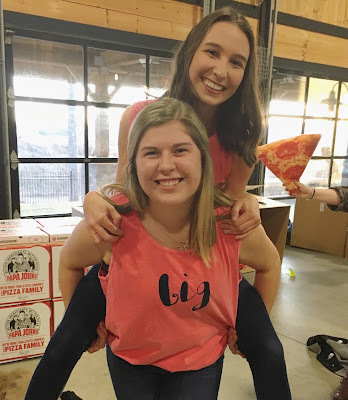 Whether it's the pile of shirts given to you during big little week, an event shirt you just have to have, or a cute shirt from a shop like Greek U. You are guaranteed to be looking absolutely adorable even on your lazy days. The greatest part of being in a sorority is the love. Never have I experienced a group that cared for me as much as my sorority sisters do. Whether it's a little thing or a big thing, I always feel cared for and supported. I hope you all enjoyed this post! I feel so lucky every day to be a part of such an amazing and empowering organization. Very true! 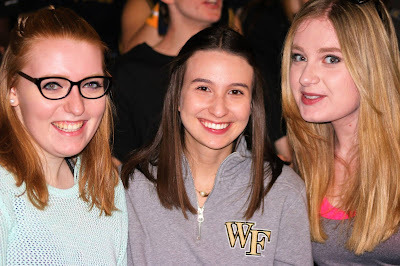 I feel lucky to have found them in my sorority!